Comparison of CloudFlare Vs MaxCDN - Which One is Best CDN? Comparison of CloudFlare Vs MaxCDN – Which One is Best? 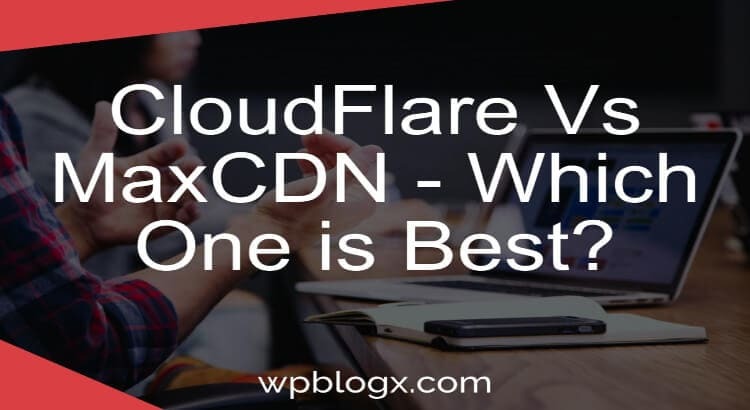 Before getting to know about MaxCDN and CloudFlare, we will a brief description about CDN. The full form of CDN is Content Delivery Network. In general, CDN has several servers which are located all over the world. The content of your website will be located in the data center. It caches the static copy of your website and stores in a data center which is geographically located near your server. So when a user sends a request, it takes the content from the nearest data center and displays the result without taking much time. With the help of CDN, your website loads faster and the performance will drastically increase. There are mainly two companies that provide services for CDN. They are MaxCDN and CloudFlare. CloudFlare is a company, which provides services such as CDN, DNS service, Protection from DDoS attacks. It caches the static files of your website and delivers it quickly. It is mainly used increase the performance and loading speed of your website. Additionally, it provides advanced security to your website. CloudFlare CDN fetches the content from the nearest geographically located area and displays the result in a much faster way. So the users will be satisfied and gain a wonderful experience. It comes in both free as well as premium version. The free version is good for basic features and if you want some additional functionalities you can go for a premium version. In premium version, there are Pro, Business, and Enterprise. Depends on your requirement you can choose them. MaxCDN is a premium CDN service. Its main goal is to give better performance for your site. MaxCDN can be used for any content management systems like WordPress, Joomla, Drupal etc. It is an effective service that delivers the content fast. MaxCDN caches the static content of your website in the data center all over the world. When a user or visitor makes any request on your website, the content is directly fetched from the nearest data center and gives the result in a much faster way. So the user need not wait for much longer time and will have a good experience using your site. MaxCDN works well when integrated WordPress with a W3 Total Cache. MaxCDN and CloudFlare give services just like CDN. Both are popular services in order to increase the performance and speed of your website. These both CDNs have their own specific features. MaxCDN mainly focuses on performance and speed of your website whereas CloudFlare also does the same but additionally it provides security to your website. Setting up CloudFlare may be quite tricky for the beginners due to change in domain name whereas Setting up MaxCDN is very easy even for the beginners. Both these CDN providers work effectively integrating WordPress with W3 Total Cache or WP Super Cache. When both are compared CloudFlare gives up a better security. CloudFlare comes in the free version but whereas MaxCDN has the only premium version. These CDNs are mainly used for online business. The CDNs can be used on any CMS like WordPress, Joomla, Drupal, Magento etc. CloudFlare provides as many features as you want whereas MaxCDN has limited features. CloudFlare can be used by the basic bloggers since it has a free version. In CloudFlare due to security reasons, there is a possibility to block your common users, whereas MaxCDN doesn’t block any of your common or genuine users. Both the CDNs are good in their own features. Depends on the user needs and requirements, you can choose them. Both of these CDNs aim is to provide your website with better performance and increase the speed. Additionally, Cloudflare provides security to your website. But one time to have in mind is CloudFlare has a free version but MaxCDN doesn’t. Both are good and effective for online business. Hope you got an idea about this. I hope you like this post Comparison of CloudFlare Vs MaxCDN. If you want more like this article, follow us on Facebook and Twitter. We will continually update new topics on social media.